How wonderful it was MJ doing the presentation and you got to meet her. After talking to several writing group these past few months, it's inspired me. Being around other writers helps tremendously! 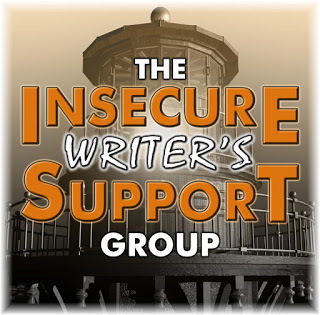 Belonging to a critique group whether online or in person is a must for us writers. I don't take part in the critique segment of the group...not sure it's for me, but it can certainly make a difference for many writers. I feel like that about life at the moment, so much to adjust to, just takes times I guess as with writer's burnout and writer's block. Enjoy this Novemeber Chrys, hope all is well. Thank you, Yvonne. I hope you enjoy November as well. And yeh for getting to hang out with MJ! I'm glad you found wonderful people at the groups/meetings you were able to go to. Great advice on burnout. It's a serious issue I think too many of us push to the side or try to deny. Acceptance is important. Finding a good meeting seems helpful, but it has to be the right fit. I've had both good and bad experiences with writer's groups, but with my current work schedule I can't really make them. Still, when I can find a good weekend one, I take it. Thank you! That was a pleasant surprise. Acceptance is really important. Only after I accepted my situation and came to terms with what was really going on did I begin to heal. I admire your courage, Chrys. I've toyed with going to a writers group but have yet to do it. Same as you, never seem to have the time, talk myself out of it, blah blah blah. Maybe one day? I'm so glad you went! Yes, maybe one day. I'm glad I pushed myself to get out. Now I try to get whenever I can. I still miss my writers' group back home in NY, but I've finally found a good new one in the place I'm temporarily in. I only wish this new group met every week like my home group, and that we had weekly write-ins along with regular meetings! That always provided so much motivation and accountability. Weekly write-ins would be great. The group I go to gets together once a month. I fear if it happened more often I'd be absent most of the time. It's tough for me to join groups in real life. Uncomfortable, but highly necessary to keep us rounded and connected. I did create a group! I prefer online to the real world though. That's true...I guess you did create a writers group. I belonged to a fantastic writers group in New Hampshire before I moved—and go back to visit whenever I have the chance—and more often than not, I would leave meetings feeling rejuvenated and excited to write. So when I got down to Florida, I used Meetup and library websites to find local groups in hopes of being able to have that same experience here. Running a group is just...slightly more stressful, but I hope I can figure it out and do it justice. Bottom line is, I just really love hanging out with other writers, even when we're not talking about writing. Love the title of today's blog. I love writers' meetings. I may grouse (privately) about the time it takes to go (esp. when it takes 1.5 hours or longer to get to them) but I'm always rejuvenated afterward. I totally agree that they are essential. Good luck to you, Chrys. Having to travel far to attend a meeting would be tough. Thanks, Diane! Good luck to you, too! I am looking right now for a writer's group to meet with. I write every Friday morning with a Meetup group, "Shut up and Write" and it is great for writing. However, I want something more as well. I want exactly what you're talking about here, a place to meet, talk, critique, and just BE around/with other writers. So far I haven't found what I'd like, but I'm still looking! Happy Thanksgiving! I'm glad that you're still looking. You'll find the right group. I've not really had any formal groups, but I'm missing my grad school/writer buddies I used to hang out with before we moved, so I know what you mean. Talking through the plot or the problem is a great way to move on to fixing it, and talking to other writers is best. I'm getting a fair bit of energy from NaNo, too (as usual), and this time I've even gone to one meet-up, and may go try for a write-in this evening. I wish the meet-ups and write-ins for NaNo for my area were closer. Right now, they are too far away. The writers group with MJ sounds awesome! I've never been to a writers group. I think I'm too much of an introvert. But maybe I'll look and see what's around near me and give it a shot sometime. I prefer the online, as people can annoy me in real life lol but you never know. LOL! I usually prefer online, too, but after a while craved real interaction with writers. I'm lucky to have a terrific local chapter of RWA. We have around 50 members and meet once a month with usually about 30 in attendance. It always gets my motivation up and rolling. Sounds like a great meeting you attended. So glad you found it. I wanted to join RWA and get together with the local chapter that meets at a library close to me. They invite other authors to come for a couple of visits, but after that you have to join RWA and their chapter...both are expenses I don't have at the moment. Great advice, Chrys. I don't belong to a writing group in my neighborhood, haven't found any that fit so far, but I'll keep looking. Perhaps, creating one myself is a way to go. I had a wonderful writer friend who is no longer with us. We met once every few weeks for five plus hours over coffee it was amazing! I miss her all the time. Never connected with another writer here in Chicago. I reached out a few times and they never responded, so I gave up. Maybe when I finally move to Florida, I will look there. Time will tell. I can't wait to hear how it turns out for you! But the driving over an hour is tough. It was really nice to be around other writers. It made me feel more like a writer and connected. Plus, I was with people you got it. I've been contemplating going to a writer's group meeting. Good Advice!! I definitely need some inspiration. So glad you found a great group and MJ!!! Feeling burnt out is why I semi took last month. I only wrote drabbles and didn't let myself worry much about my WIPs. It was refreshing to say the least and definitely helped. Great advice :-) I'm glad you found the support you needed. Awesome post, Chrys!! I'm right (write) there with you. Introvert extreme working full time. It takes kidnapping to get me out in public once I get home at five. I'm trying to force myself to get more social but it's difficult even knowing the benefits are wonderful once that first step is taken. Courage to both of us as we venture forth . . . It's hard for me to get out and be social, too. And afterward I'm drained for days. These are great tips. I've had creative burnout since my client base has grown. It's hard to juggle. Great post! As always, thank you for sharing. Having more clients can definitely put a lot of pressure and strain on us and cause burnout. I wish you the best of luck! That's great that going to the writer's group helped. I'm in a critique group and for a few years I just critiqued and didn't submit. Now I'm finally submitting again. I'm actually not critiquing any work that's submitted right now in this group because I do so much of that as an edit and I don't really know these writers enough to make me comfortable in critiquing them. Sharing is the way to see we're not going through things alone. It also gives us a chance to unwind and socialize. You always have such great advice. Thanks. Our small library recently started a writer's group. We average 10 to 12 people at a meeting. It's taking awhile to get organized, but we're finally doing some critiquing of each other's work. WE will get better. 10 to 12 people? Wow! Sometimes the group I go to has 5 or 7. It doesn't help that the two leaders moved out of state, so we lost two people. You know, maybe I should start searching for another critique group near me. I already have two, but the number of people in one of them is slowly dropping, and the other one doesn't meet as regularly as I'd like. It'd be especially great if I could find a group devoted to science fiction/fantasy. Thanks for the suggestions. That would be wonderful! Good luck! Such solid advice, Chrys. As usual! Thanks so much for these suggestions. All best to you, my dear! I found my current writing group through Meetup.com. We may have to look for more members soon. And, a great way to keep a group like that in touch is groups.io. It's like Yahoo groups (which was how we did things before), but better technically (Yahoo groups is buggy). I never heard of groups.io. Thanks for the tip! I'm so glad you found the writing group near you. It sounds like just the thing to keep your enthusiasm high and that nasty burn-out at bay. Good for you! I went to one writers' meeting. I was so excited, but a little nervous about going, so my hubby and I took a "dry run" the day before so I'd be able to find the meeting place easily. I got my stuff together and went at the appointed hour. When I got home, I told my hubby, "Would you believe everybody at the meeting knew me?" He raised his eyebrows in surprise. Then I added, "And they were all married to you." Yep. I was the only one who showed. I'm glad you've come through, Chrys. Great tips. I meet regularly with two writers, my critters. Both published authors. And there is the Queensland Writers Centre in the building where i work. I often attend meetings. Being with other people helps a lot of things, including depression. It helps you not focus on your own problems and gets you thinking about other things. Yes, I do attend writers' group meetings. I've learned a lot from other authors by doing that. Very true. Depression often wants us to be alone, but being with loved ones and like-minded individuals can help defeat it. Great suggestions! I live in an area rich with writer's groups, but so many don't. I'm betting there are people hungry for connection in those areas without. That's wonderful! I think it's really unfortunate that many areas don't have writer's groups. I'd try to create one if I was in an area lacking groups/meetings. I did belong to a local writer's group for a few years, but it fell apart after a couple of key people moved away. I miss it and know I should search for a new one. My local group's leaders are moving. Now MJ is running it, and I've volunteered to give her a hand. I'm sorry that your group broke apart. I've not done it myself but I can see how it would be helpful. Online groups are great but there's something inspiring about personal interaction. Glad it helped you! I agree. Actually meeting people face to face makes it real, makes me feel like a real writer, and gives me a boost that I don't get anymore from online groups, though I still love online groups like the IWSG. It sounds like your library offers some great learning experiences with writer's meetings. I went to one at my local library, and it was more like a poetry reading. It was nice to hear others' works, but I sort of felt like an outsider because they had been meeting together for a long time and I didn't really know if I could fit in. I guess I am looking more for a class or workshop than a critique group. Maybe I should check out Meetup.com. What's neat about the one I attend is that new members come all the time. They check it out and most leave or continue to come for a while, but there are those that have been attending for a long time. Its great that you reached out and received so much support. Isn't our readers and writers community simply fabulous? So wonderful that you find went and liked it! I belong to a local writers group called S.C.I.F.I. (South Central Indiana Fiction Interface). I joined about 8 years ago and was terribly nervous the first several months. But now I love it. We critique each other's stories in round table form. I've learned so much from them. I think it's wonderful that you've been a member of your local group for 8 years. I hope to be that way with the group I've started going to. A location like that would be inspiring to meet at. What a wonderful list of tips and I love the title! The one that really struck a chord with me was going to the library. which is within walking distance. I never thought about connecting with local writers there before, and it couldn’t possibly be more convenient! Thanks so much, Chrys! I'm glad one of my tips sparked an idea in you, Julie. I hope you venture to your library and see if they have writers meetings. Hi, Chrys! I hope all is well, my dear. Always love keeping up with all you do. Merry Christmas! Now I'm in panic mode re the changes to Google. I'm so totally computer illiterate! How do I find out which google I'm using?